Synopsis: Eun-Yo Song has beauty and popularity; everything a girl could want! 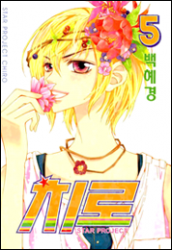 All the boys declare their love for her, except the one she really wants – heartthrob Chan-Gyeong. After a chance encounter with pop-singer Nan Lee, Eun-Yo hatches a scheme to become a star herself, and win over her dream boy. But little does she know that Nan’s the one pulling her strings… and she’s about to fall into his trap!